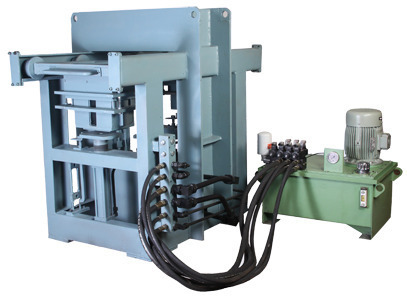 We have gained immense admiration amongst our clients for providing an impeccable assortment of Fly Ash Brick Mould Machine. Established in the year 2008, M. B. Engineering Enterprises is emerged amongst the praiseworthy manufacturers of an exceptional quality gamut of Pan Mixer Machine, Vibrating Table and many more. By following industrial quality standards and guidelines, we design and manufacture the offered products with high accuracy by utilizing supreme quality components and innovative technology. Our product range is immensely appreciated and demanded amid our patrons owing to features such as precise design, rugged structure, high efficiency, simple installation, longer functional life, least maintenance and superb functioning. Apart from this, we provide our products in several specifications at competitive prices.